Nupur Shah is the owner and founder of Nupur Shah Law, P.C. – For the Creative Entrepreneur, a firm specifically designed to provide effective legal solutions and guidance for small businesses. Nupur has significant experience working with start-ups, and small to mid-sized business in the fashion, jewelry, consumer goods, restaurant, interior design, graphic design, and coaching industries. With law degrees and substantial legal experience from both India and the United States, Nupur is primed to advise clients on managing their intellectual property portfolio, and drafting business contracts. "My attorney was very friendly and had full knowledge of the area in which I was concerned with." "We engaged Nupur Shah as an attorney on a fixed monthly retainer basis earlier this year. She essentially acts as an outside general counsel for our companies – handling our contracts with clients, vendors and partners, trademarks (domestic and foreign), UCC filing, and any other legal issue that comes up in our business. She has a long term vision and is interested in the growth of our business. Nupur is personable, prompt and responsive, and we rely on her advise on a regular basis for both our companies. We feel legally secure now that we have Nupur on our team." "Nupur has been extremely helpful through every stage of establishing my apparel business. Right from inception, she dedicated time to understand the ropes of the business so that she could provide me with the right and needed support. 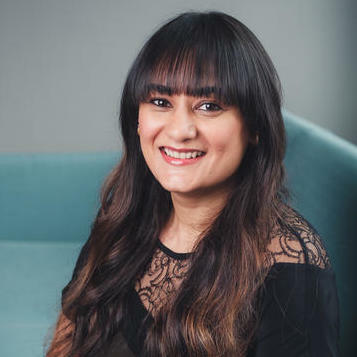 From establishing the company to negotiating with potential buyers and preparing legal contracts, Nupur has shown a great level of business acumen whilst of course, handling all the legal aspects. She takes time to understand my requirements and communicates regularly to discuss developments and concerns, if any, so as to ensure smooth execution of all projects." Nupur Shah Law, P.C. is a boutique IP and Corporate law practice. We provide customized legal solutions to entrepreneurs, small to mid-sized business owners and startups. Our work encompasses IP portfolio creation, management, protection, registration, maintenance and renewal, as well as designing business contracts for our clients. •	Litigate IP cases before federal courts. Develop case strategy from the pleading stage, through discovery, summary judgment and trial, and negotiate settlement. •	Draft pleadings, and motions, take and defend depositions. •	Trademark and copyright application and prosecution. •	Draft IP licensing agreements.